Once a yakuza... Always a yakuza. 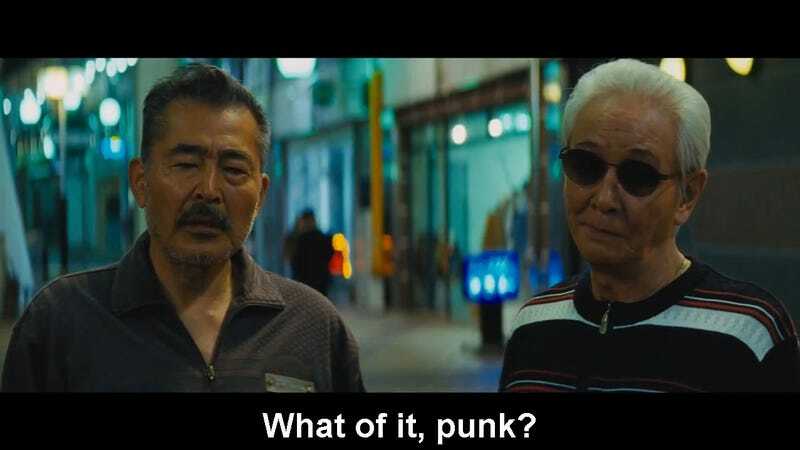 From comedian, actor, director, and generational phenomenon, Takeshi Kitano (aka “Beat” Takeshi) is a new movie of generational conflict between old-school Japanese gangsters and current-generation scam gangs. Titled Ryuzo and the Seven Henchmen, the movie focuses on a retired Japanese mafia member, Ryuzo, who is taken in by one of Japan’s most popular and problematic scams where a scammer will pretend to be a young relative of an elderly person in order to extort money. The incident quickly escalates into a war between the scammer group and Ryuzo with his gang of likewise former mafia members. Check out the trailer for the movie below with English subtitles. A prolific director, Takeshi is famous in the West for his frank and often hard-boiled, violent movies like Outrage and Beyond Outrage. Ryuzo and the Seven Henchmen, on the other hand, seems to draw more from Takeshi’s comedic side, with a somewhat dark and humorous look at conflict between the old and modern illegal underbelly of Japan. There are no minigun trucks or yellow fuzzy frog suits, but it looks pretty funny nonetheless. The movie also seems to carry a somewhat nostalgic longing for the “good old days” where gangsters had a code of honor as opposed to the slick, quick money thugs of today, but also recognizes that what’s illegal is illegal, even if it has honor. Ryuzo and the Seven Henchmen was released in Japanese theaters in April. No word on an international release yet, but Takeshi probably has enough of a fan base to ensure the movie will get translated and released eventually.